R.C. 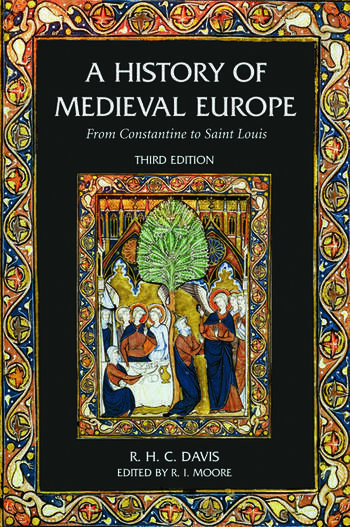 Davis provided the classic account of the European medieval world; equipping generations of undergraduate and ‘A’ level students with sufficient grasp of the period to debate diverse historical perspectives and reputations. His book has been important grounding for both modernists required to take a course in medieval history, and those who seek to specialise in the medieval period. In updating this classic work to a third edition, the additional author now enables students to see history in action; the diverse viewpoints and important research that has been undertaken since Davis’ second edition, and progressed historical understanding. Each of Davis original chapters now concludes with a ‘new directions and developments’ section by Professor RI Moore, Emeritus of Newcastle University. A key work updated in a method that both enhances subject understanding and sets important research in its wider context. A vital resource, now up-to-date for generations of historians to come.